This has happened to me a few times before already. I lay down to go to sleep and I wake to hearing voices around me. I try so hard to open my eyes but they do not open. I try to move or get up off my bed...and I am just stuck there. It always freaks me out because this always happens when I'm alone. I try so hard to understand what the voices are saying around me, but I can't make out any words. When I start getting scared I start trying to move and start trying to wake up, and I start panicking because I don't understand how or why this happens. After about 5 to 10 minutes of hearing voices that I cannot understand trying so hard to get up trying so hard to open my eyes...the voices fade and I finally get to open my eyes and I can finally move my body. I don't understand why this happens to me, and I don't understand what it means but it really freaks me out. Does this happen to anyone else or does anyone else know what this means? Hi Janet, Thanks for sharing your story. I know you're not alone in experiencing this, and I imagine you'll get a number of comments here telling you as much. To learn about how sleep paralysis occurs, check out our section about The Causes Of Sleep Paralysis. 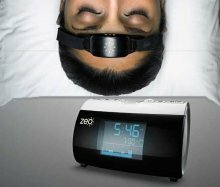 It's important to realize how tied it is to REM sleep (i.e. dream sleep), which helps explain the dream voices and dream hallucinations people often see while experiencing an episode. 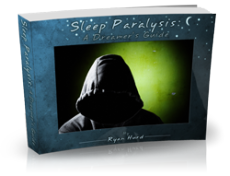 If you're interested in learning about how to keep yourself calm and break out of the paralysis episodes faster, you may like our page about Sleep Paralysis Treatment. It is extraterrestrials paralyzing and examining the human races body while asleep. There a small chip somewhere under your skin. Search and you will find. I promise. It always happens when nobody is around!